The ancient practice of single combat is as old as war itself. It is defined as a duel between two single warriors, which typically takes place in the context of a battle between two armies. These duels sometimes served as a way to prevent extensive loss of life, with the winner’s side being granted victory. However, single combat could also occur in the midst of battle between two agreeing warriors. These fights were almost always to the death. The reasons for engaging in these dangerous duels are varied. Some looked to win power or glory, while others looked to spare the lives of their fellow soldiers. Some simply fought out of necessity. Here, we will look at some of these dramatic duels. 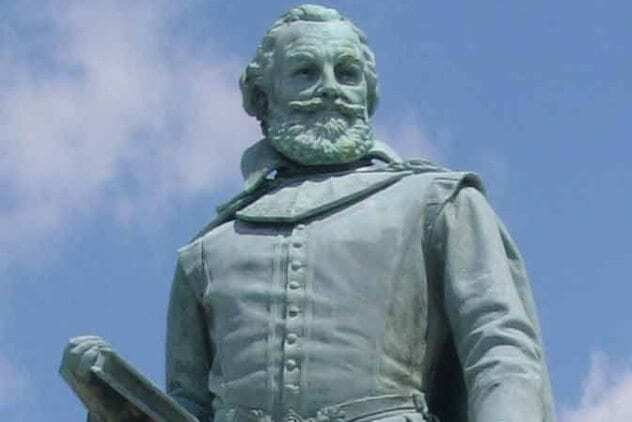 John Smith is well-known for establishing Jamestown, the first permanent English colony in North America. However, what many don’t know is that Smith had quite an extraordinary life before he set sail for the New World. For several years before his famous voyage, he worked as a mercenary, fighting in a number of conflicts all over Europe. While fighting against the Turks in Transylvania during the siege of Alba Iulia, Smith engaged in three duels. They came about when a Turkish officer called for a Christian officer to fight him in single combat. Smith responded to the challenge, and the two met in the no man’s land, where Smith quickly defeated the Turkish officer. Two more duels came afterward, one in which pistols were used and another in which battle-axes were used. Smith won all three and beheaded each of his opponents. For his success in single combat, Smith was knighted by the Transylvanian prince, and the emblem of the “three Turkish heads” was bestowed upon him. John Smith wasn’t the only famous Brit to have taken part in single combat. 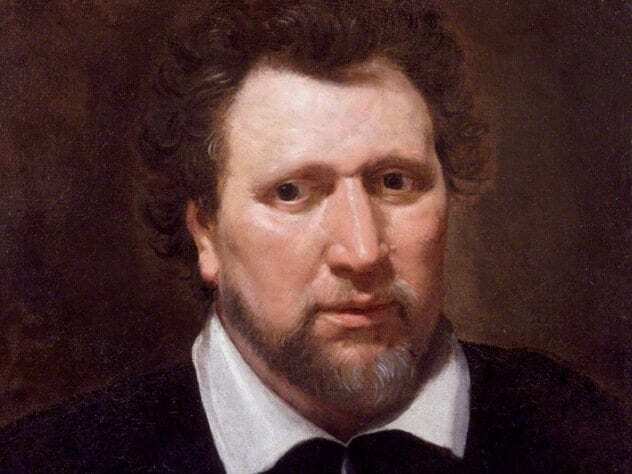 In 1598, Ben Jonson, a playwright, actor, and friend of Shakespeare, dueled fellow actor Gabriel Spenser. The duel took place on September 22 in the fields of Shoreditch. The particular reason for the duel remains unknown. The duel was fought with swords, and Jonson killed Spenser with a stab to the right side. Duels of this nature were common at the time. Jonson was arrested for manslaughter and faced hanging, but he escaped by pleading “for benefit of clergy,” which placed people who could read outside the jurisdiction of the secular courts. In 1314 at the Battle of Bannockburn, the Scottish army, led by Robert the Bruce, king of the Scots, faced off against a formidable English force in a fight for Scottish independence. 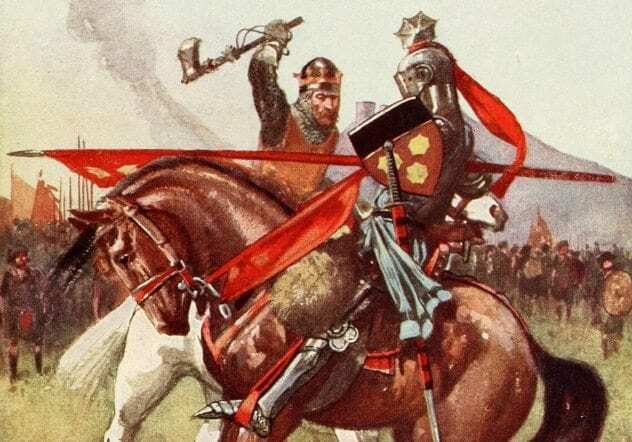 On the first day of battle, an English knight named Henry de Bohun (nephew of the earl of Hereford) saw the Scottish king exposed and decided to charge. The single combat which ensued was witnessed by both armies. Marcus Marcellus was a Roman consul and general, well-known for his aggressive military tactics on the battlefield. He fought in the Punic Wars against the Carthaginians and was also instrumental in capturing the fortified city of Syracuse. However, he is most known for defeating the Gallic king Viridomarus at the Battle of Clastidium in 222 BC. According to the Roman historian Plutarch, the two recognized each other on the battlefield due to their distinctive and ornate armor. The two were both on horseback and charged at one another. 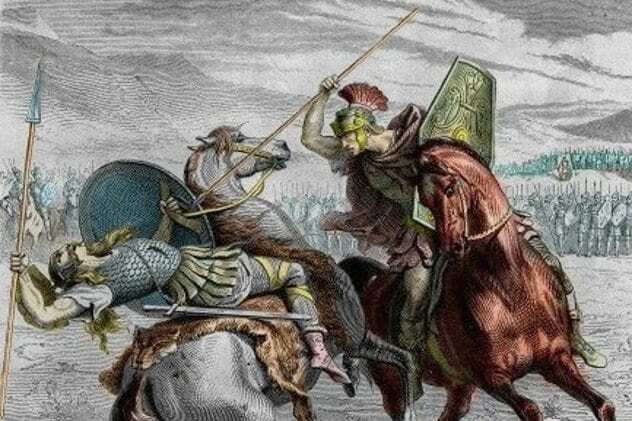 Marcellus struck Viridomarus with his spear, knocking the king from his horse. He quickly finished the job with a few more blows. Subsequently, the two armies engaged each other, and the Gauls were defeated in a pitched battle. After defeating Viridomarus in combat, Marcellus took the man’s armor as spolia opima. This was recognized as the most honorable war trophy a general could obtain. Only two other Romans were ever able to attain spolia opima. 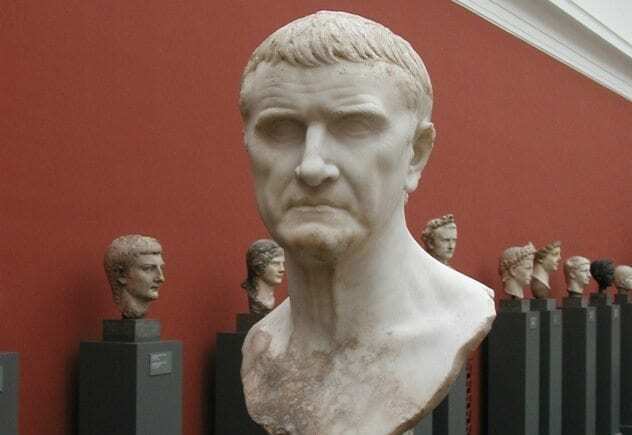 Marcus Licinius Crassus was the grandson of Crassus, who was a member of the first triumvirate with Julius Caesar and Pompey. Although not as known, he was an accomplished military and political leader in his time. Under the rule of Octavian Augustus, the younger Crassus was key in expanding the new empire’s borders. One of his greatest achievements came when he was sent to Thrace to halt an invasion of Bastarnae tribesmen around 29 BC. During this campaign, Crassus tricked the Bastarnae army into an ambush, in which he killed their king, Deldo, in single combat. The Bastarnae army was subsequently routed. For this heroic deed, Crassus should have been able to claim spolia opima, but Augustus, fearing that granting him this honor would put Crassus in a position to challenge his own political power, refused to allow it. One of the most famous stories in Japanese culture is that of Kumagai Naozane and Taira no Atsumori. Taira no Astumori was a warrior of the Taira clan, which went to war with the Minamoto clan, which the samurai Kumagai Naozane belonged to, in 1180. The war, known as the Gempei War, lasted five years and saw the fall of the Taira clan and the rise of the Minamoto clan to power. In the Battle of Ichi-no-Tani in 1184, the two warriors faced each other in single combat. According to the story, Taira was swimming toward a friendly boat, which was going to carry him to safety after the Taira forces had been routed by the Minamoto, when Kumagai called for him to come back and fight. Taira accepted this challenge. The two grappled on the beach, with Kumagai eventually defeating Taira, knocking his helmet off in the process. When Kumagai did this, he realized that Taira was merely a boy of about 17. Kumagai had a son of the same age and did not want to kill the boy, so he asked Taira to give his name so that he could spare him. Taira (a noble) knew this was a breach of the Japanese code of honor and refused, instead saying, “Just take my head and be quick about it.” Kumagai did so but felt horrible about it. Later in life, Kumagai renounced the samurai way of life and became a Buddhist monk. Many contend that his killing of Taira was the reason. Mstislav was a Russian prince and son of Vladimir the Great. He lived in the 11th century. During his time, he invaded and conquered many other territories and helped to spread Christianity to Russia. He is best known for his duel with Rededya, prince of the Circassian tribe. The two princes were locked in a state of war, when in an attempt to limit bloodshed, Rededya proposed that the matter be settled in single combat. Mstislav agreed, and it was decided that the two would wrestle, with the losing party accepting defeat in the war. The fight began and lasted several hours until Mstislav seemed to be on the verge of defeat. According to legend, Mstislav prayed to the Virgin Mary for assistance and pledged to build a church in her honor if he won. 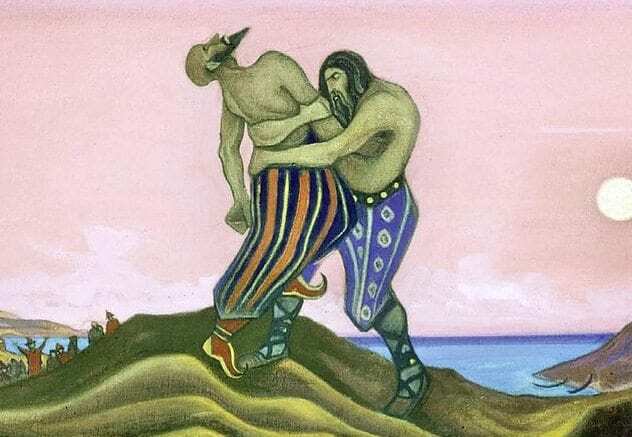 Moments later, Mstislav pulled out a dagger and stabbed Rededya, killing him. This was a breach in the honor code of the duel, but Rededya’s tribe submitted to Mstislav and his men anyway. Staying true to his pledge, Mstislav built a church and dedicated it to Mary. Miyamoto Musashi is arguably the best swordsmen who ever lived. 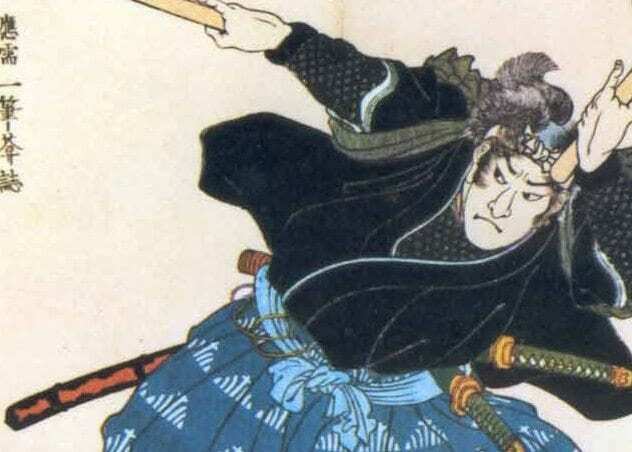 He won over 60 duels in Japan and often preferred to use two swords at once. His greatest test came when he dueled another skilled master, Sasaki Kojiro, in 1612. Known as “the Demon of the Western Provinces,” Sasaki was a formidable adversary who specialized in using the no-dachi, a large, two-handed sword. The two decided they would fight on the remote Ganryu Island. Miyamoto arrived several hours late in an attempt to physiologically disturb his foe. He brought with him a wooden sword, which he had carved out of an oar on the way over. Sasaki was so enraged that he almost immediately attacked Miyamoto. However, Sasaki proved to be no match for Miyamoto, who quickly dispatched Sasaki with a strike to the ribs, which punctured his lung and killed him. Miyamoto quickly returned to his boat and left the island in order to escape Sasaki’s angry followers. 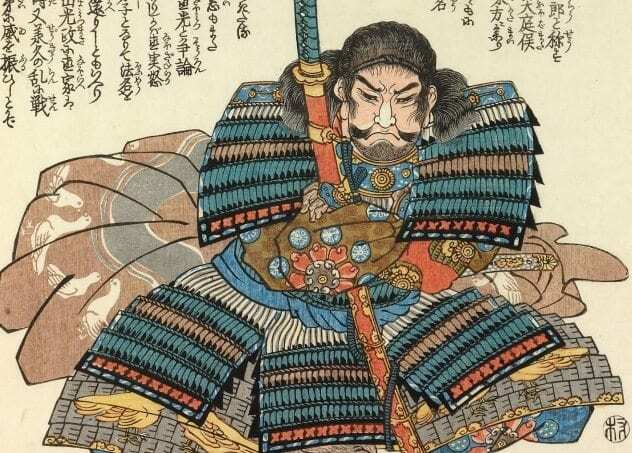 This duel essentially cemented Miyamoto Musashi’s status as the greatest swordsman in Japan. He later became a relatively successful painter and writer. On March 2, 1127, Charles, the Count of Flanders, was murdered. It was discovered that there were a number of conspirators in on the plot. 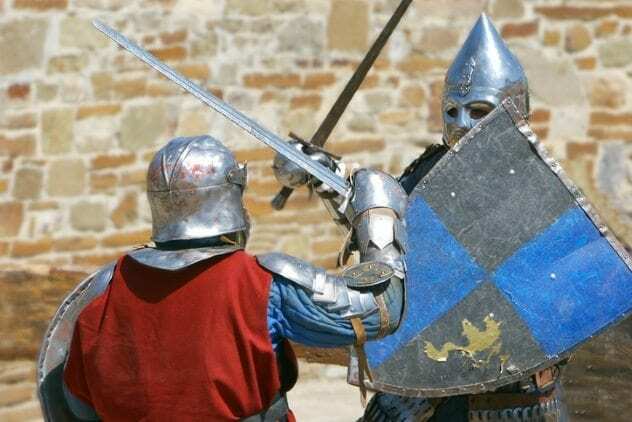 One knight, Guy of Steenvoorde, was accused of being involved but maintained his innocence. Not convinced, another knight known as Iron Herman challenged Guy to a duel. Galbert of Bruges gave an account of the duel. Now fighting with their bare hands, Guy finally gained the advantage and pinned Herman down. However in a last-second fit of strength, Herman threw Guy off. Guy subsequently admitted defeat. In the eyes of those watching the duel, Guy’s defeat was evidence of his guilt in the plot, and he was quickly hanged. In 1592 (or 1593), we witness one of the most epic duels of all time, between the Siamese king Naresuan and Burmese prince Mingyi Swa. Not only was it a duel between two members of royalty in the midst of a battle, but the two were also on the backs of war elephants. The duel occurred at Nong Sarai, a battle fought during the Burmese-Siamese Wars. According to accounts given, Naresuan rode forth and challenged Mingyi to a duel, coaxing him into accepting it by shaming him. Once the prince accepted, the two, both on the backs of their war elephants and with their crews (necessary to control the animals), engaged one another. They exchanged strikes, and Mingyi narrowly missed Naresuan, who eventually landed a blow with his sword, cutting into Mingyi’s shoulder and killing him. It should be noted that there are number of different accounts of this battle. 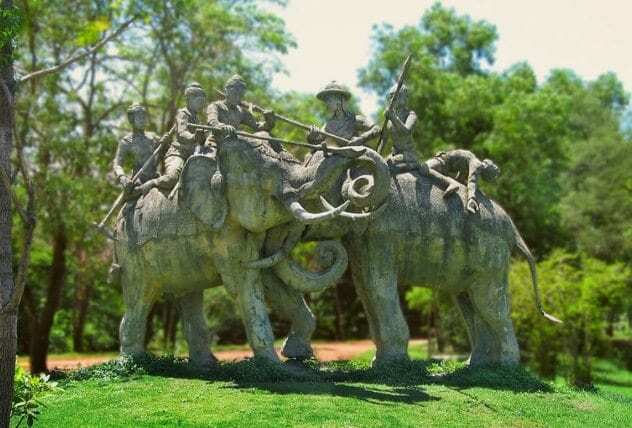 The duel became known as the “elephant duel” and is considered an important aspect of Thai history. Today, King Naresuan is considered one of the greatest Thai heroes, and Royal Thai Armed Forces Day is celebrated every year to commemorate the duel. Brad is currently a student at Fordham University. He can be reached at [email protected].